Heighway Pinball dropped a bombshell at Expo last month when it announced that it had secured the license to Alien. It plans to release an Alien-themed pinball machine next year. At this point it’s probably worth taking a quick deep breath or two and remembering that as yet Heighway Pinball has no machines to sell at all. An incomplete version of Full Throttle was on show at Expo (and boy is it fast), and Alien is not due till the middle of next year at the very earliest. So how come a company that has not yet released any games at all can get a license as big as Alien? Pavlov Pinball put the question to Heighway Pinball’s boss, the extremely affable Andrew Heighway. Having a top-notch designer like Dennis Nordman on board certainly didn’t hurt, he says, but there is more to it than that. Although more was on offer, Heighway says the company only went for the licences to Alien and Aliens (the franchise continued with Alien 3 and Alien Resurrection) because these two films were the most commercially successful, and because they have the best content. Full Throttle is aimed at a very wide demographic – anyone between the age of about 16 and 60 – according to Heighway, so is there a risk that Alien will lack appeal to anyone who wasn’t around when Alien was released thirty-five years ago? “I think Alien is a timeless licence,” Heighway responds. “It is one of a very few films that is still relevant today. He points out that the film Prometheus, which continues the theme, was only released in 2012, and the franchise was extended with film titles such as Alien v Predator as well as numerous arcade and video games. Probably the biggest mystery is why there has not been an Alien pinball machine already, although Bally’s 1979 Space Invaders came pretty close art-wise, and according to Barry Oursler his 1993 Williams title Bram Stoker’s Dracula was going to be an Alien machine before licensing issues forced Williams to abandon the idea and switch it to Dracula. So what will the Alien game be like? It turns out that the game is pretty well advanced and a shot map has already been published. Nordman has been working on it for almost a year already, and a flipping whitewood should be up and running before Christmas, Heighway says. Heighway won’t be drawn on what Alien assets the licence includes or whether any of the original actors have or will be approached to produce original call outs. “I can’t reveal the intricacies, but I can say that there will be clips from the movie in the game,” he says. These will be displayed on an LCD screen in the same – or similar – position to the playfield screen on Full Throttle. “The idea is to have the screen in more or less the same position in all our games, but in some games it could be in portrait or we could move it,” Heighway says. One of the criticisms of Full Throttle is that it has a static backbox with nothing for spectators to look at to see how the game is progressing. Heighway says the company is considering putting a screen in the Alien backbox that mirrors the display on the playfield. “At the moment the head on view of the airlock will be an LCD which shows the airlock opening, or modes that are about to start. The airlock will rotate to display a xenomorph (alien) or the xenomorph queen. When it comes to sound, Heighway says the company is experimenting with different sound cards and base speakers to make the audio component stronger, and hints at a few surprise add-ons. “For example, we are looking at ways to connect the sound from Alien to your Hi-Fi system so you can play it through your Hi-Fi speakers,” he reveals. What about artwork? It will likely be of the photorealistic type rather than hand drawn, Heighway has said in the past. But who’s going to be producing it? “The artwork is challenging with the licencor, and I can’t mention a name,” says Heighway. 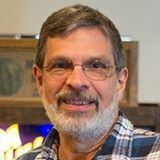 Is Greg Freres – who has worked with Nordman on several titles including Blackwater, Elvira and the Party Animals and most recently Whoa Nellie! Big Juicy Melons – involved at all? “No comment,” says Heighway. Make of that what you will. 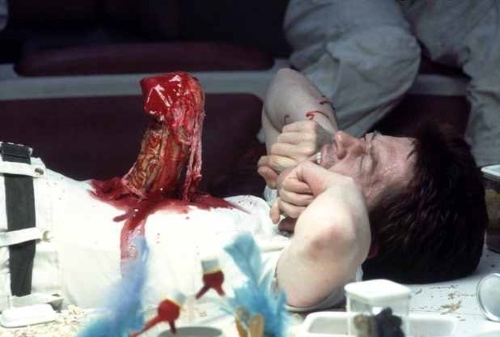 Heighway hopes to be able to start producing Alien in April 2015, with a third title going in to production in Autumn 2015 and a fourth as early as Christmas 2015. “A lot of people wonder how we can possibly do that when it has taken so long for Full Throttle to be produced,” he says. “The answer is that the hardware and operating system are the things that have taken a long time to develop. We have already submitted some things for approval from the license holders of games three and four,” he says. The Heighway Game Change System (HGCS) – which provides the ability to pull out a playfield and replace it with another to convert the cabinet from one title to another – depends on there being more than one title on offer. And in fact the more titles that are available to swap in and out the more valuable the whole game change system becomes. Heighway says that the playfield swap kits for Alien are not yet for sale, but he expects them to be available to pre-order once a number of overseas distributorship deals (including Australia and Canada) have been wrapped up in the coming weeks. 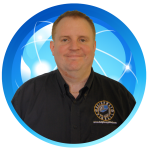 A possible flaw to HGCS is that licences have a finite lifespan, and that means that someone buying a Heighway Pinball machine in a few years’ time might not be able to buy an Alien kit to go with it because the licence might have expired. Heighway’s response is that there will be a second-hand market for these kits, so they should still be available in one form or another. At some point in the future Heighway says that Full Throttle, Alien and subsequent machines will use Wi-Fi connectivity so you can log in to a machine and upload your high scores and use prepaid credits. If that’s not available when Alien is released then this will be made available via a software update at a later date. One final question. 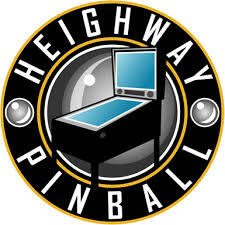 Heighway Pinball is a British company. Harry Potter is British. And Harry Potter is one mega book and film franchise that’s never been turned into a pinball machine. So is there any possibility that Heighway might licence the theme in the future? It seems a natural fit. This sounds very interesting. 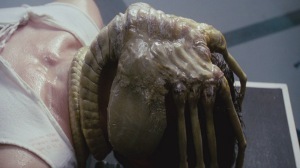 I love the Alien franchise and it already looks like they will be improving on the backbox display. Not sure how the swap kit will work if they add a display forthe backbox.. or is the backbox a diaply already ? Is Dennis Nordman still a designer at Heighway? I remember they had him for a time on a list of employees on their website, now his photo and posting is removed with no mention as to why. This happened similarly when Jersey Jack Pinball no longer had Dennis working on their next machine. A very good question indeed. I suspect you are on to something. Azatotht: Andrew told me the swap kits would include hardware where required. How that would work with a display for the backbox I don’t know. At the moment its just a static translite afaik. Hi there, I was part of the team that designed the spacesuits and other ephemera for the first Alien film and worked closely with Ridley Scott. 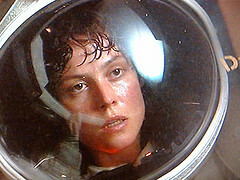 I made the helmet Sigourney is wearing above. I still have some memorabilia to prove it. Don’t believe everything you read in books about who designed what. I have also always been a big fan of pinball and owned many machines since 1980.